We provide Menthol Powder that has a mint flavor and is formulated using premium quality Mint and other materials. We offer the Dry Menthol Powder or Menthol Flakes that are obtained by chilling mint oil and subsequent centrifuging to separate out the flakes. Owing to its characteristic aroma and its cooling effect, the Menthol Powder, we supply, is widely used in Pharmaceutical, Confectionery and Flavoring industry. 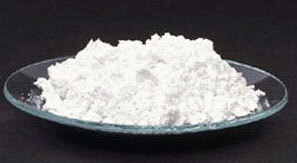 Appearance Colorless, hexagonal or like Flakes/Powder, white, super dry, Transparent with Mint odor. Colorless hexagonal or Flakes in melted shape, Transparent with Mint odour. Reaction Solution in Alcohol is natural. Solution in Alcohol is natural. Taste Cool sensation in mouth and characteristic mint. Cool sensation in mouth and characteristic mint. Packing In fiber drum airtight of 25 kgs.net, packed at controlled room temperature and lining with Thermocol sheet. In G.I Drum of 180 kgs net airtight, packed at controlled room temperature.